Mahindra Finance, offers interest rate on fixed deposit at 7.95 per cent for a 15-month fixed deposit. For individual depositors, a bank fixed deposit (FD) is considered the safest form of investment, especially with a large commercial bank such as State Bank of India (SBI). The income from the bank FD is not only safe, but also accessible at any time since the saving instrument can be redeemed, even prematurely albeit at the cost of some interest income. However, the large banks offer relatively lower fixed deposit (FD) returns such as SBI offers only 6.65 per cent interest income per annum on its 1-year FD. In such a scenario, the depositors can embrace not-so-popular, but high-yielding alternative of depositing fixed deposits (FDs) with small finance banks and/ or non-banking financial companies (NBFCs). Unlike the large commercial banks such as SBI, small finance banks offer far higher interest rates on their fixed deposits (FDs), which are as high as 9 per cent in some cases. The small finance banks are just like the large commercial banks, but the only difference lies in the fact that they are not permitted to lend to the corporate buyers, thus sparing them the big ticket loans as well as the exposure to higher non-performing assets. For individual depositors, small finance banks offer a boon to the investments for high rate of interest, sometimes as high as 200 basis points, in comparison to the mainstream banks. Not only small finance banks, the non-banking financial companies also offer high interest rates, usually at par or even higher than what the small finance banks offer. However, the deposits on small finance banks are considered relatively safer in comparison to those with NBFC. Interest rate and risk: As one realises that the interest rate offered by NBFC is slightly higher than what is offered by the small finance banks, however, the marginally higher interest income comes at slightly higher risk that one has to bear for pocketing some extra bucks. Sample this: The KTDFC and Mahindra Finance (both NBFCs) offer interest rate on fixed deposits (FDs) to the tune of 8.25 per cent and 7.95 per cent per annum while the small finance banks such AU small finance bank and Equitas offer slightly less interest rates upto 7.15 per cent and 7.5 per cent. Tax factor: Interest incomes on both NBFCs and small finance banks are taxable at the rate of tax slab one falls under. 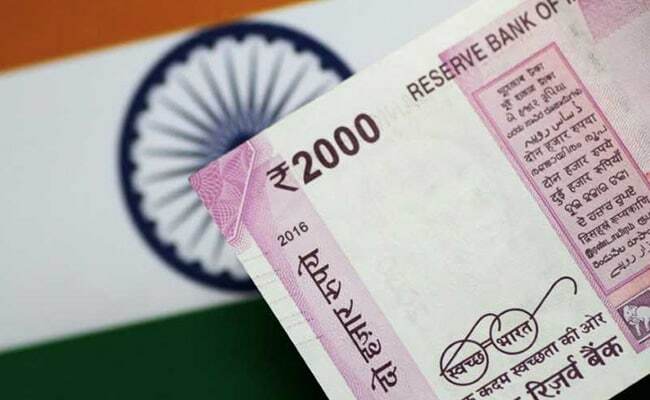 A person falling under the 5 per cent income tax slab will be made to pay tax at the same rate on his/her interest income, while the one who falls under 30 per cent tax slab will pay income tax at the same rate. The interest income up to Rs.10,000 is non-taxable for non-senior citizens, while for the senior citizens, the tax free interest income limit is Rs. 50,000. Before choosing an NBFC, the depositor must check if the credit rating (that determines the ability to refund the loan) is high or not. The high credit-ratings-bearing NBFC deposits are safer than the ones without them. Bajaj Finserv, for instance, offers an interest rate up to 7.85 per cent, which is nearly 220 basis points higher than the SBI FD interest rate of 6.65 per cent for one year duration. Also, Kerala Transport Development Finance Corporation (KTDFC) offers an interest rate of 8.25 per cent for one-year, two-year and three-year fixed deposit (FDs). The long duration fixed deposits (FDs), for four years and five years, fetch an interest rate of 8 per cent, according to www.ktdfc.kerala.gov.in. Another NBFC, Mahindra Finance, offers interest rate on fixed deposit at 7.95 per cent for a 15-month fixed deposit. RBI, in a recently released newspaper stated: “If your grievance regarding deficiency in service against any deposit-taking NBFC registered with the RBI, is not redressed within 30 days or you are not satisfied with the reply given by the NBFC concerned, you can approach the NBFC ombudsman with complete details at the address: The NBFC Ombudsman (North Zone) c/o Reserve Bank of India 2nd floor, 6, Sansad Marg, New Delhi-110001. Phone number Ph: 011-2372 4856, email: [email protected]”.